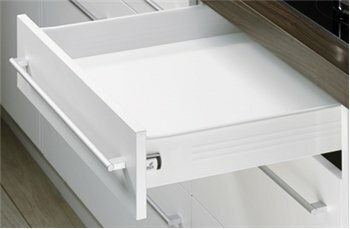 The Hettich MultiTech drawer side system is a fast and efficient way of making drawer boxes. This model is 86mm (3-3/8") tall X 550mm (21-21/32") long. and includes partial extension drawer slides. You cut the 5/8" bottom and back material for the width of drawer you desire. A drawer front is made based on your type of cabinet construction and style. 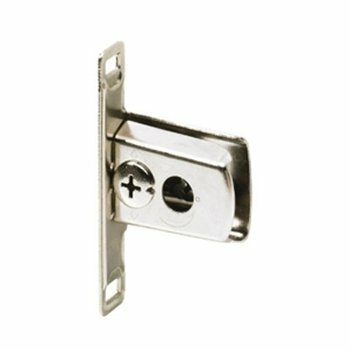 The drawer front is mounted with 2 front fixing clips sold separately. Drawer replacement was easy to install. Great product! Thanks for your directions and prompt service. Changed 2 front connectors myself and it was very easy. Excellent service. I received my items within 1 week. My only complaint is that I didn't receive any screws with the product. 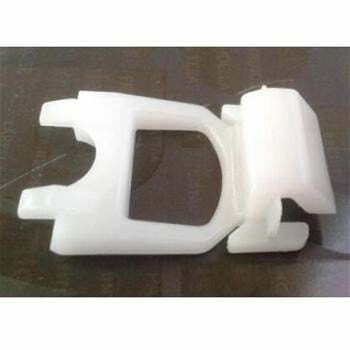 I have multitech parts in all my cabinets, the previous owner broke a few front connectors and tried to rig random parts to fix it, took me a while to find actual replacement parts, seems like this is the only website that sells these multitech parts. install was pretty simple, and these parts seem more solid than the discontinued ones from 2005. Hopefully they keep these in stock in case any of my old ones break. Shipping was also fast! Service was excellent, I had a little trouble removing the drawer, contacted customer service and their response was super fast and helpful. The rest was really easy to install (and I am an 'old'lady). Excellent product, excellent service! Thank you!